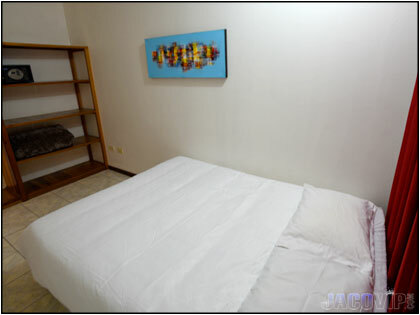 12 BEDROOMS / 23 BEDS • MAXIMUM OCCUPANCY IS UP TO 28. 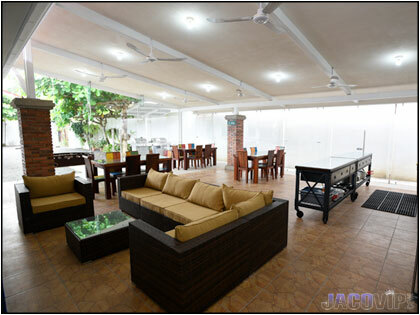 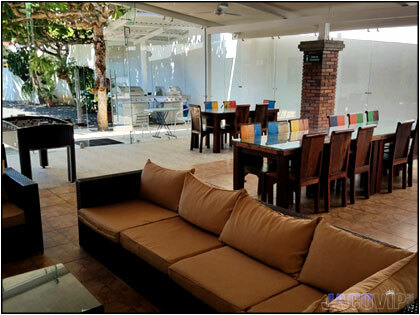 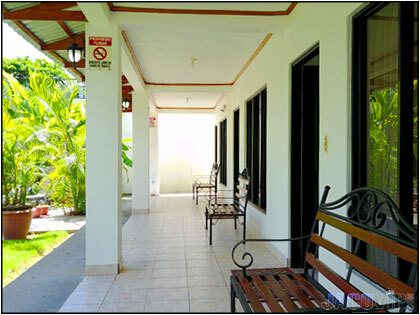 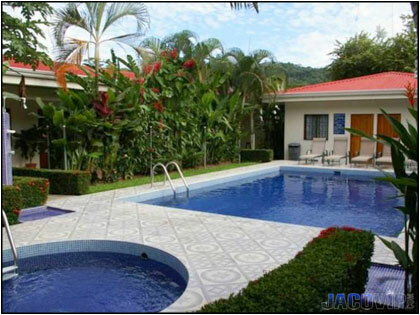 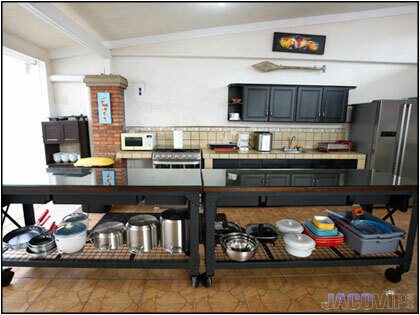 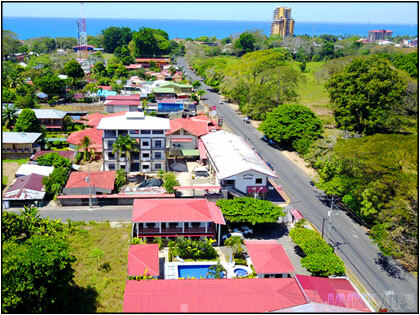 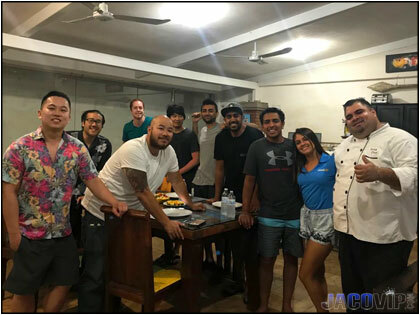 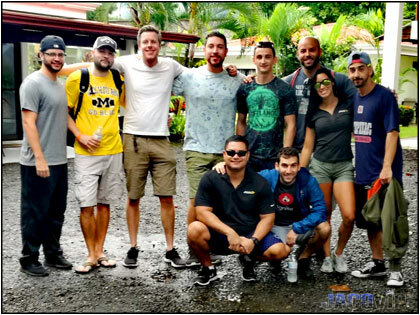 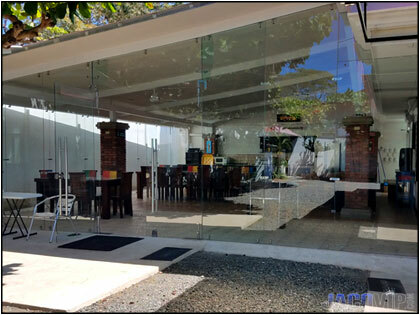 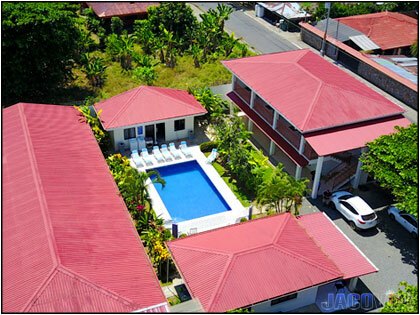 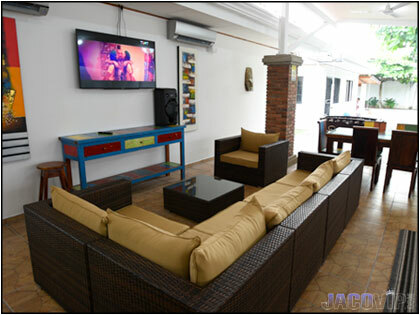 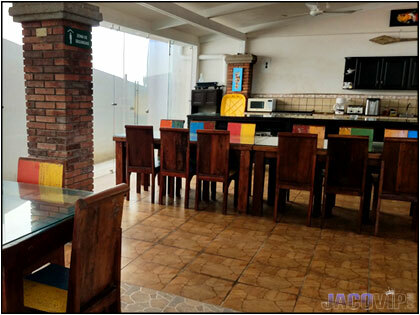 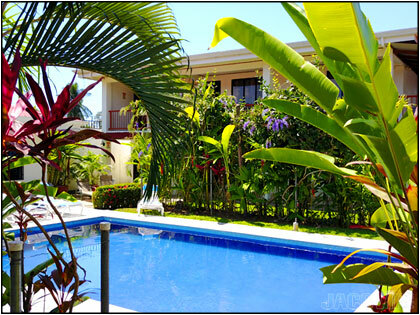 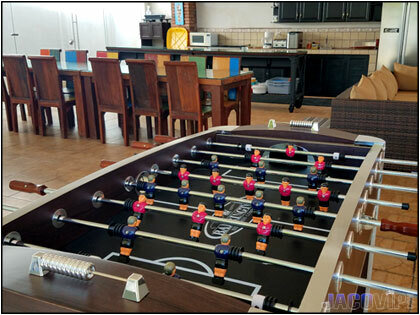 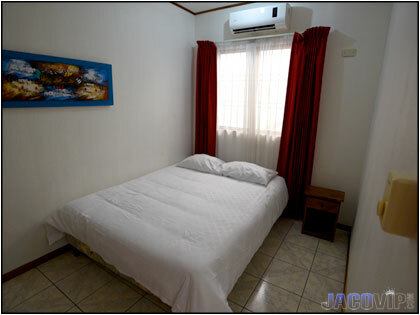 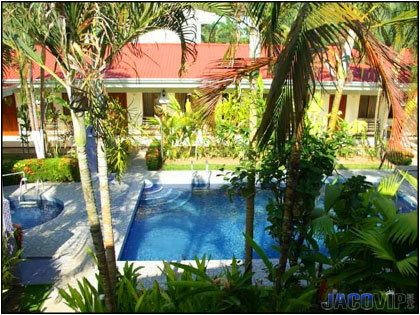 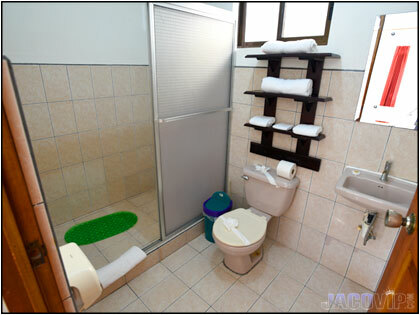 LOCATION: On main street, less than 5 minutes to Jaco center. 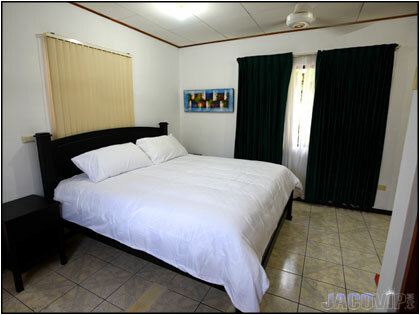 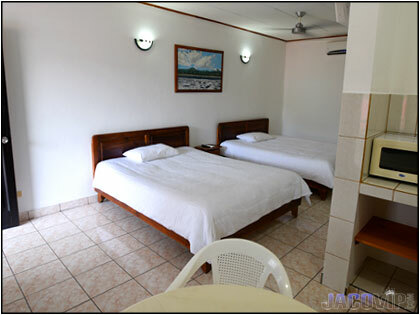 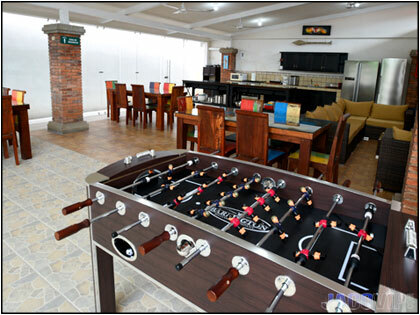 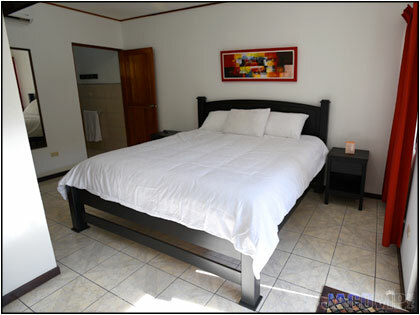 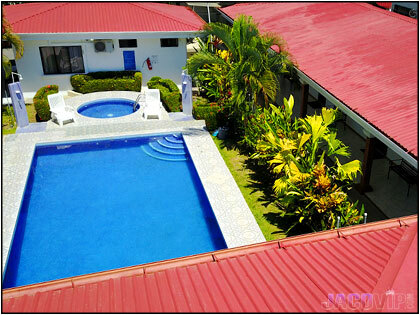 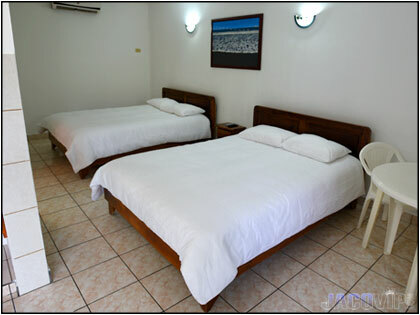 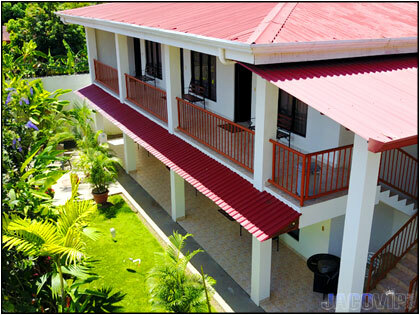 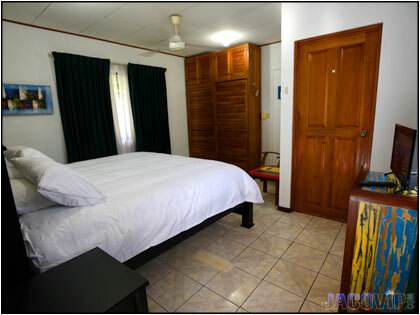 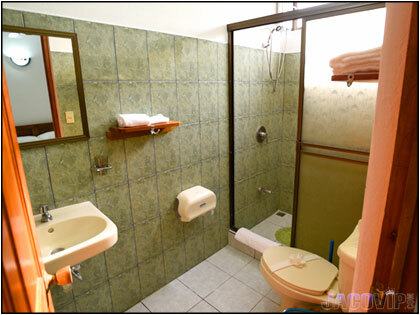 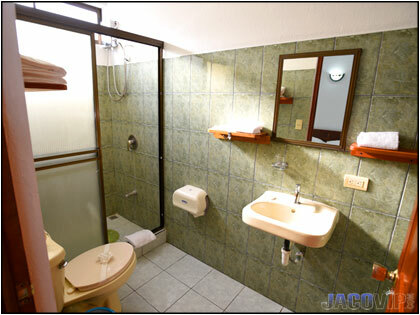 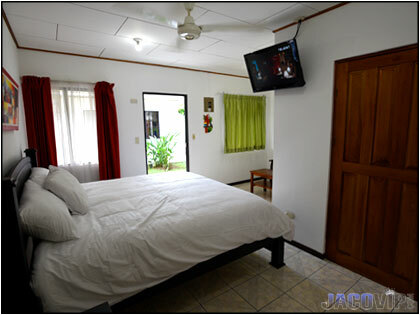 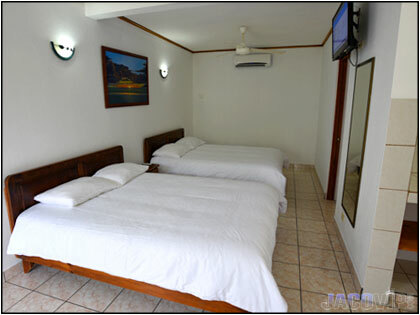 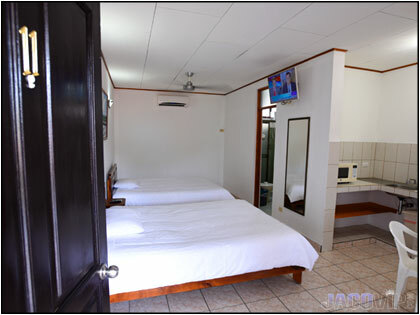 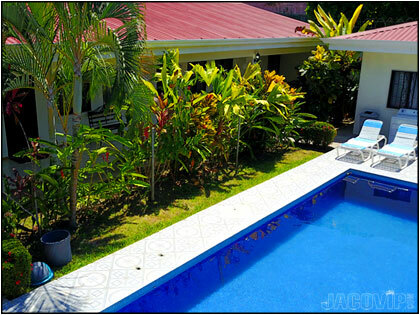 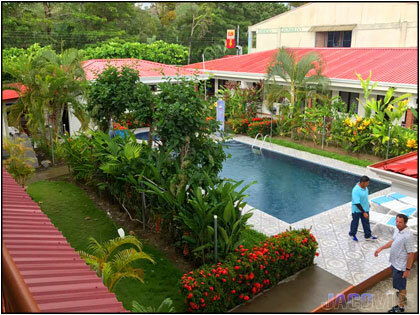 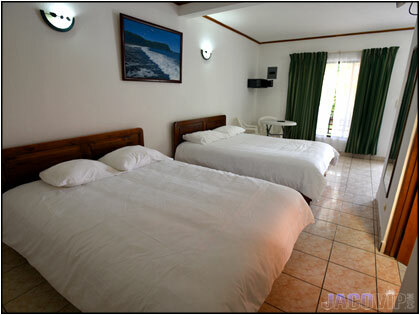 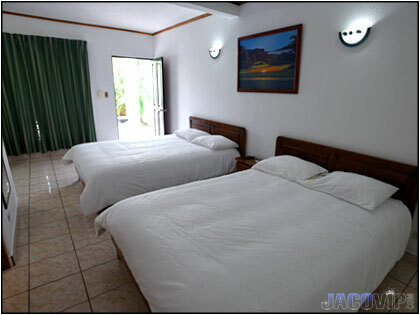 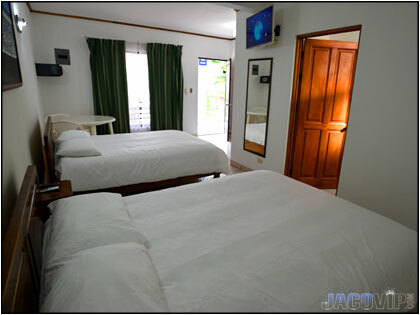 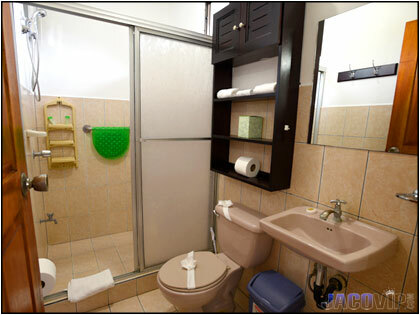 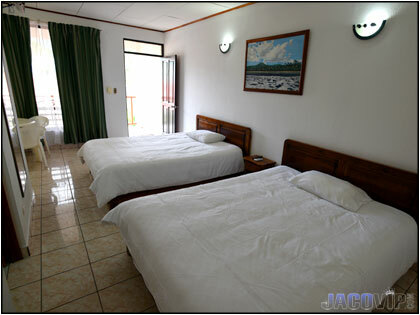 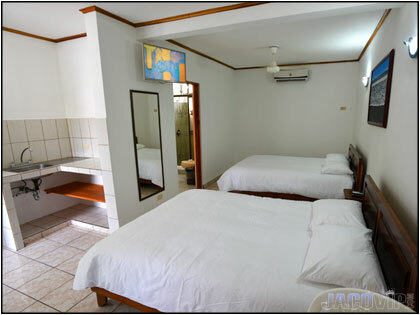 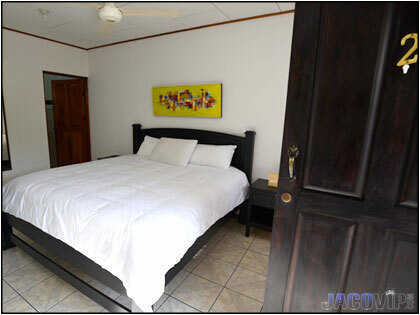 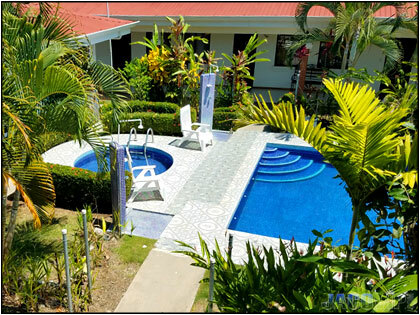 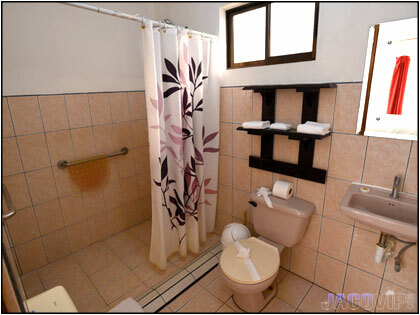 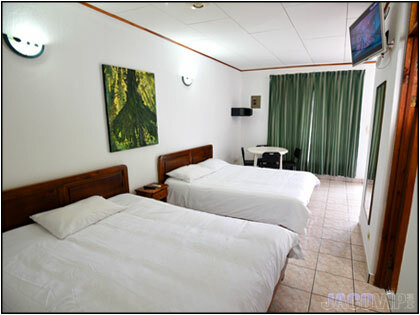 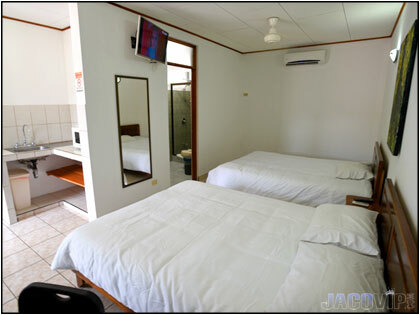 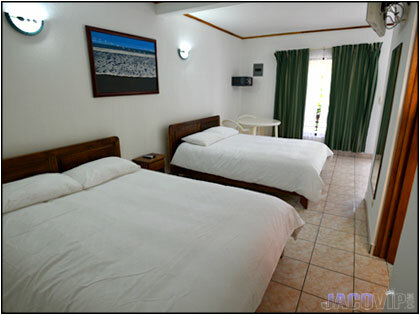 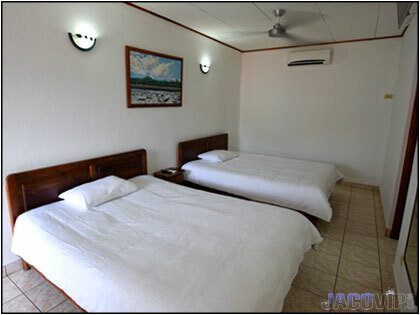 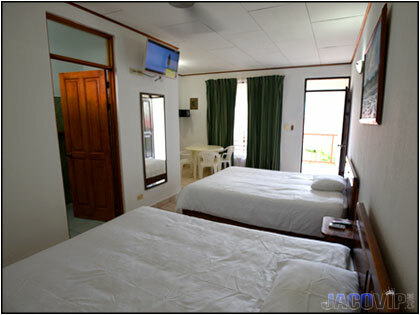 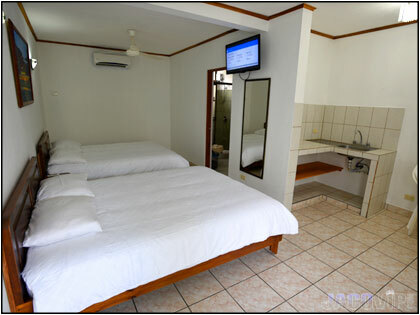 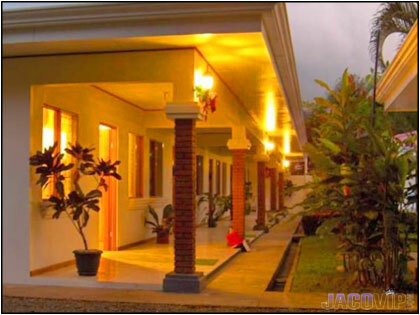 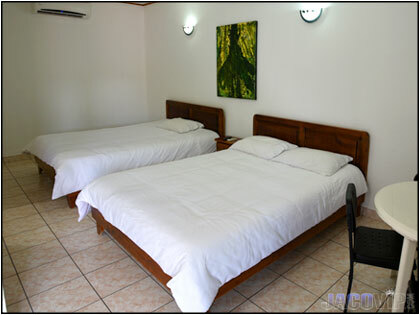 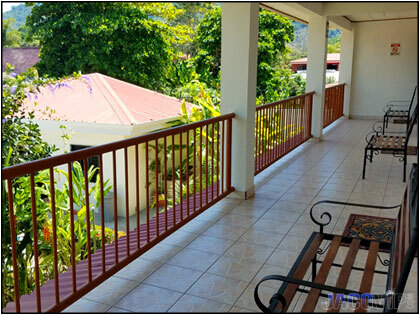 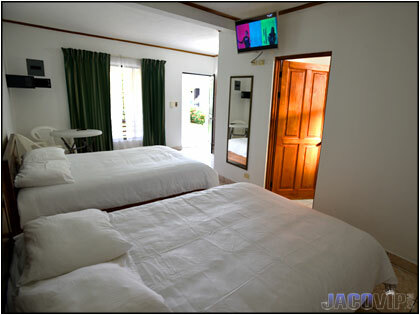 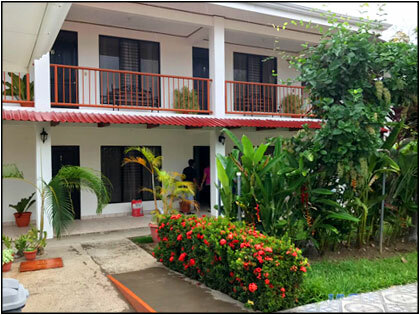 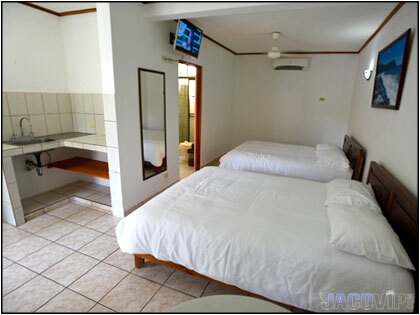 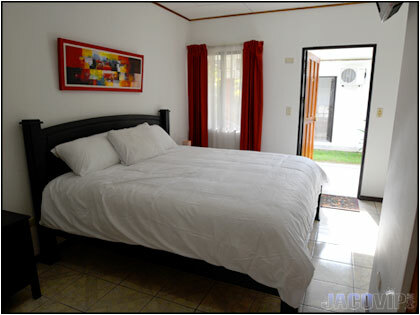 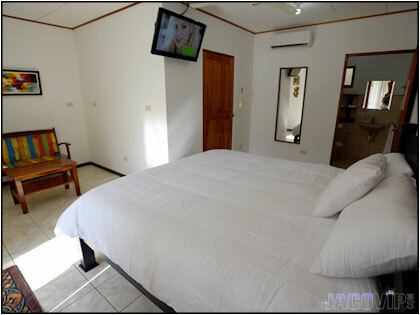 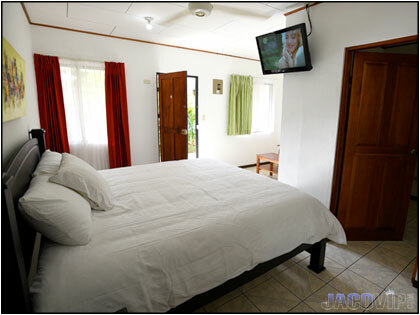 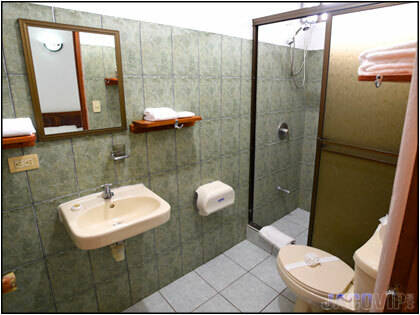 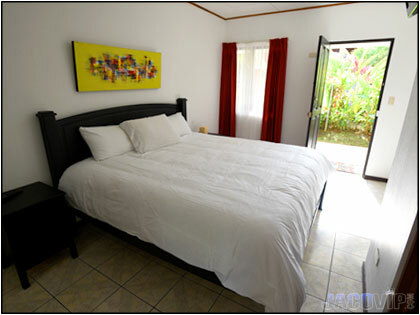 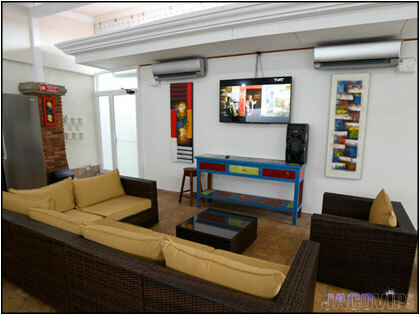 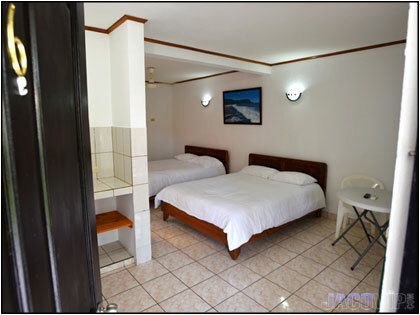 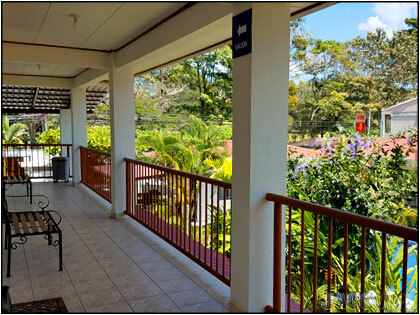 ACCOMMODATIONS: 12 Bedrooms each with private bathroom, TV and safebox. 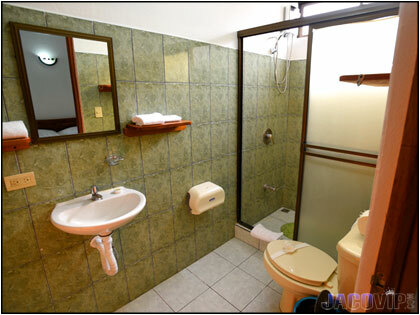 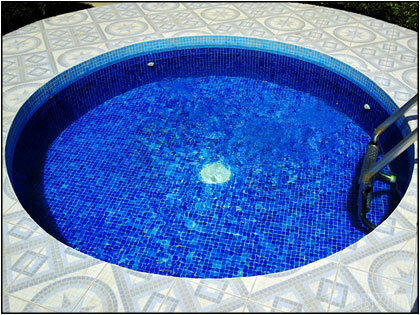 Half bath near pool. 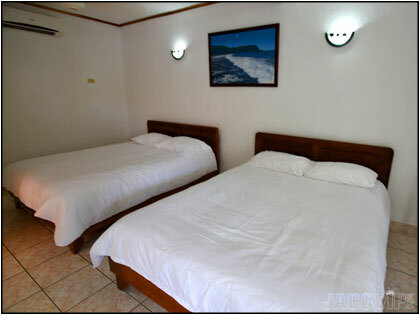 Total of 23 Large Beds (King or Queen). 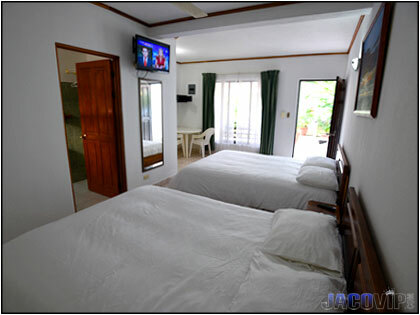 Price listed for up to 23 people. 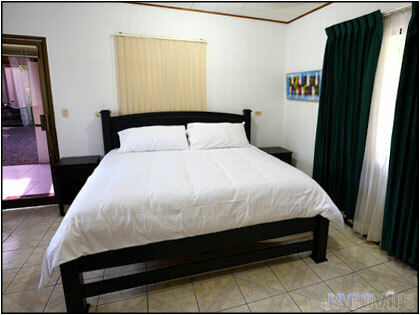 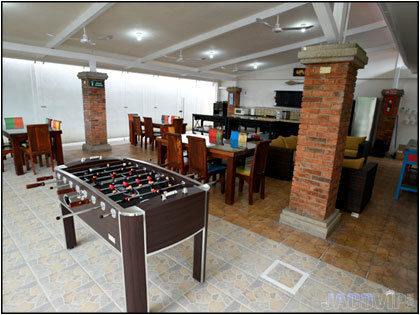 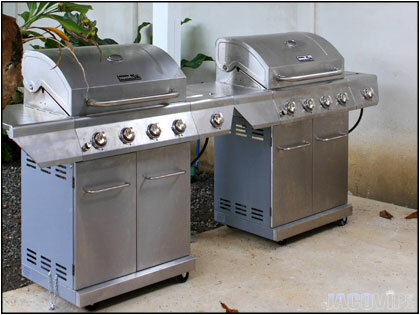 • Prices listed up to a maximum of 23 people. 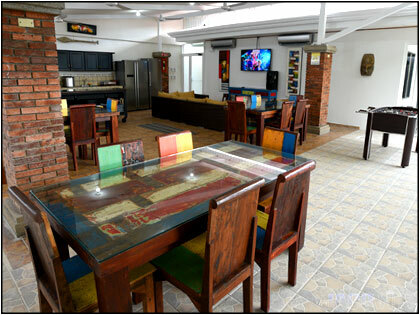 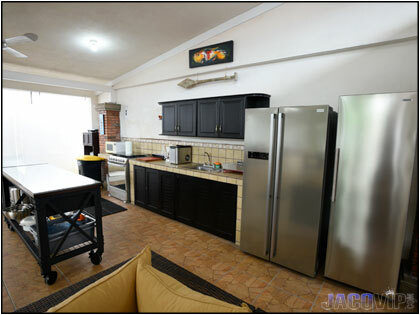 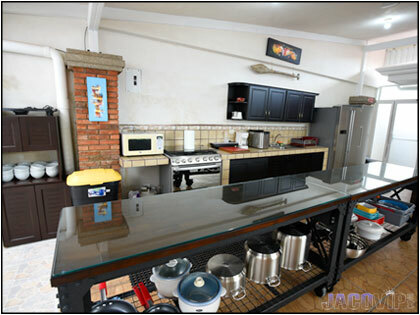 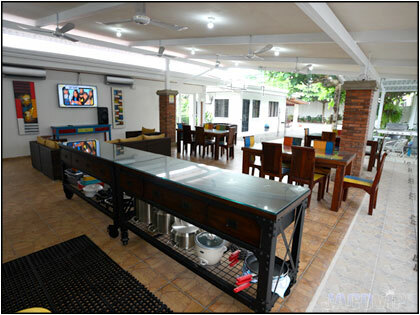 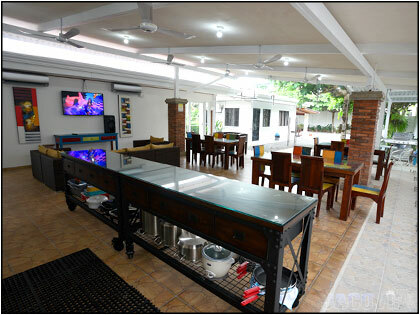 • Living Room / Kitchen / Party Room with AC, TV. 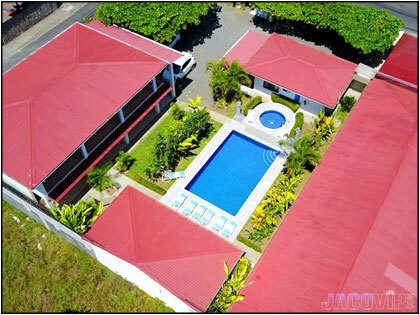 12 Bedrooms / 23 Beds. 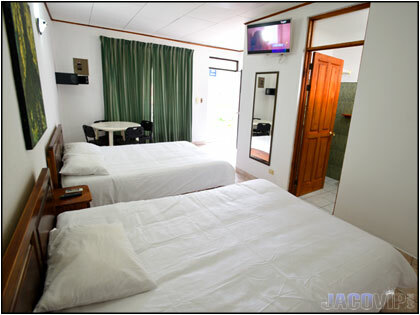 Max occupancy is 23 singles. 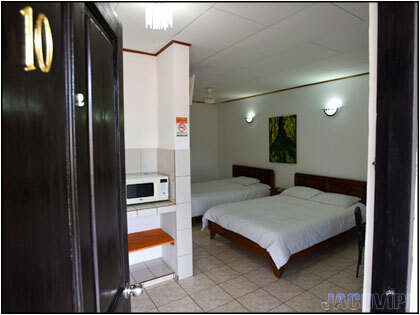 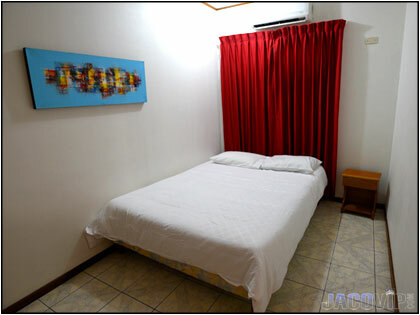 Bedrooms 1 to 5 have a King size bed with TV in main walk-in area, as well as a closed room with Queen size bed. 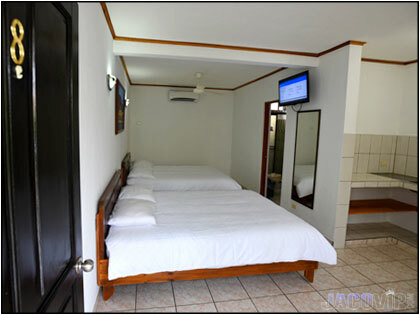 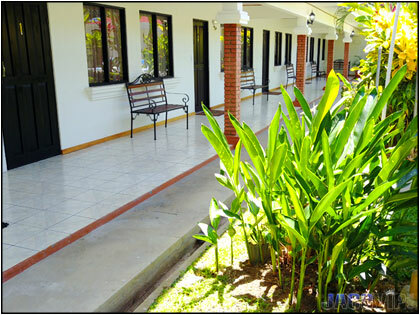 Bedrooms 6 to 8 are on the ground floor, and bedroom 9 to 11 are on the second floor. 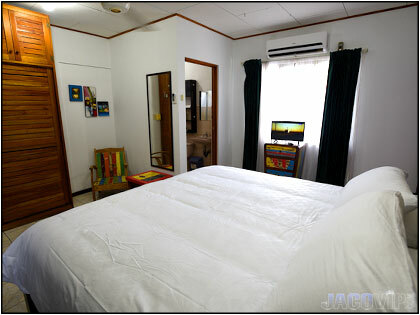 Each room has two Queen size beds. 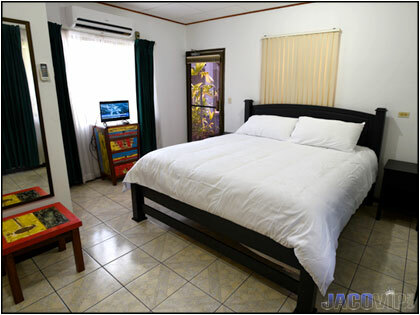 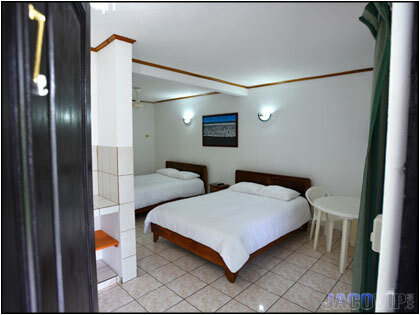 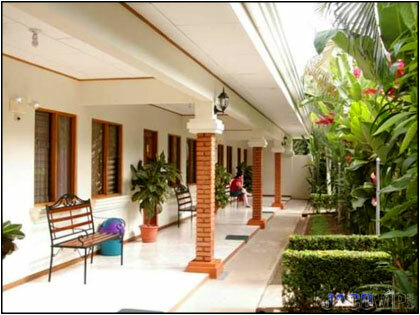 Bedroom 12 is separate from the other rooms and has its own entrance closest to the living room, main entrance and pool. 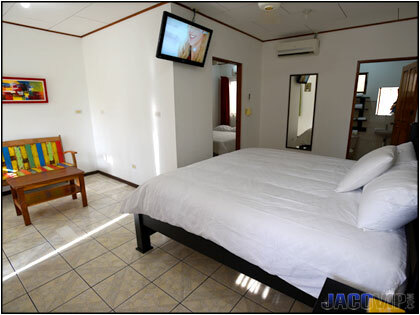 There is a King Bed, Private Bathroom, Safebox and TV.